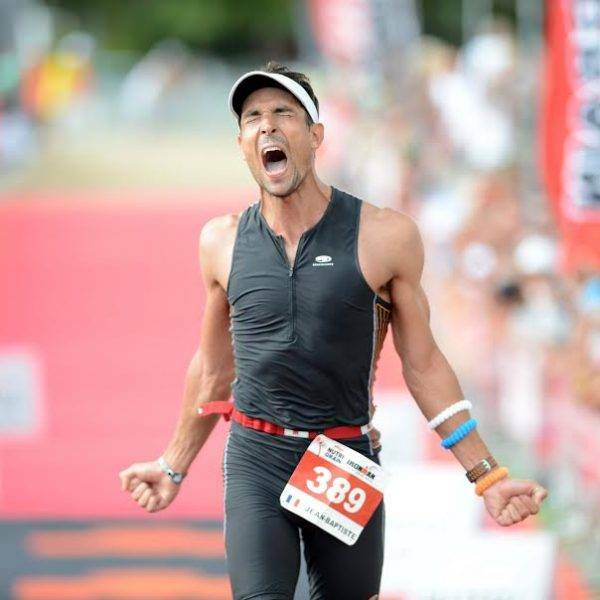 Firmly established in its hometown of Taupo since 1999, IRONMAN New Zealand showcases the best of this wonderful country and its breathtaking scenery. 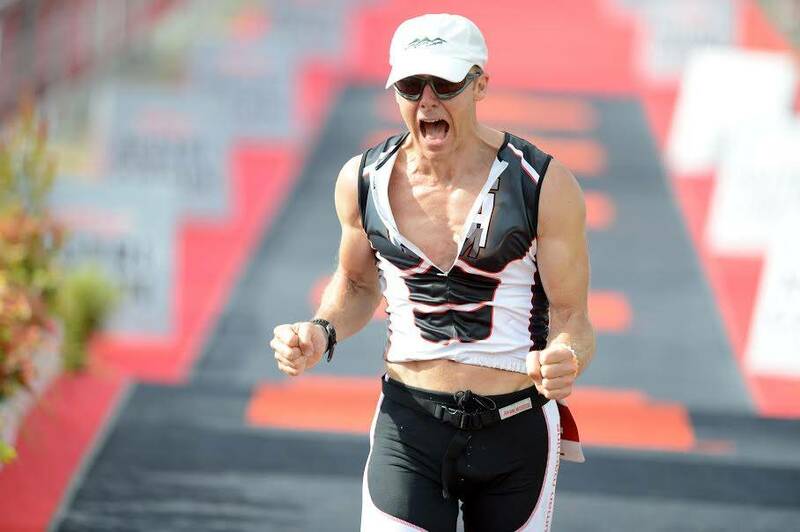 Our tour is the best way to prepare for your race, and we take care of all the race week logistics, allowing you to concentrate on having your best race possible. 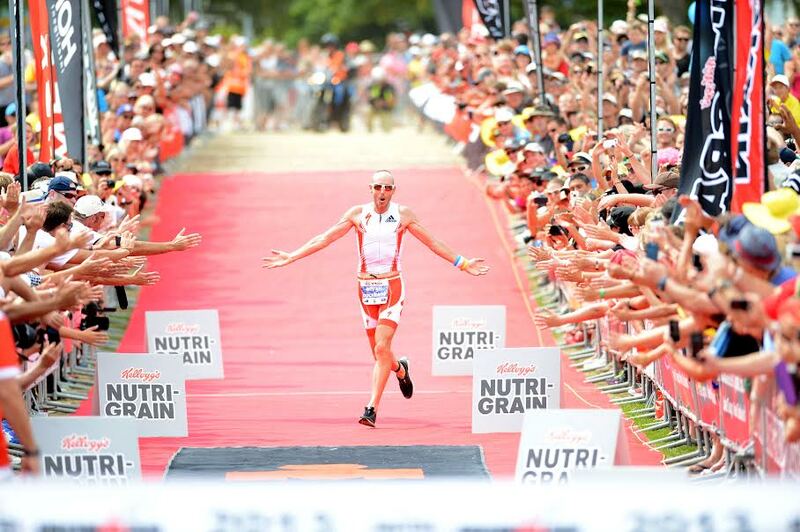 Let us help you realise your IRONMAN potential in one of the world’s most beautiful places. 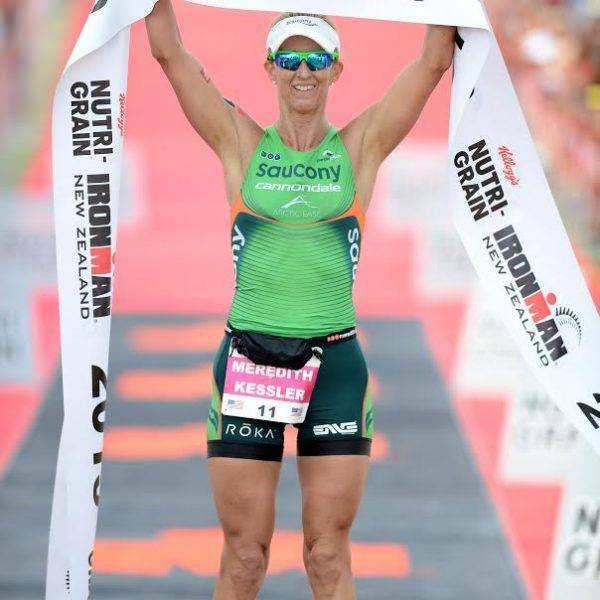 The tour is the best way to prepare for your race, and we take care of all the race week logistics, allowing you to concentrate on having your best race possible. You can choose to partake in as much or as little of the itinerary as you wish. 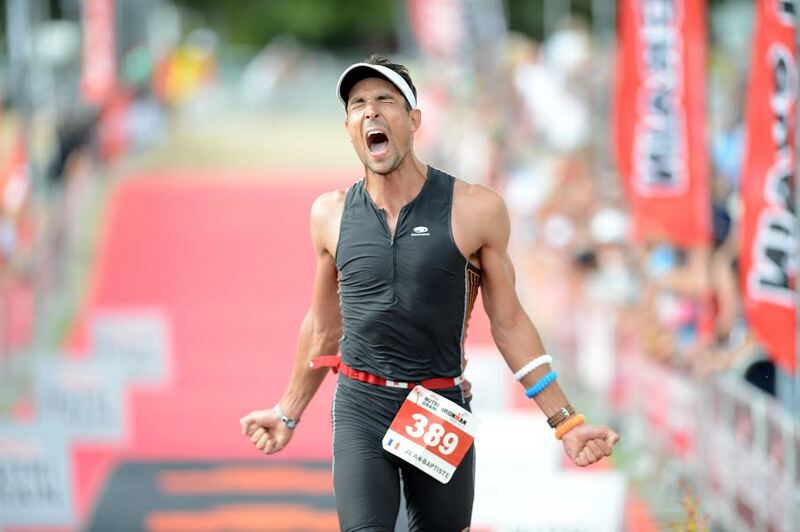 Let us take care of all the ‘little’ things, so you can do what you came to Taupo to do – race your best! 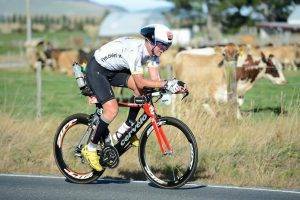 Our Ironman New Zealand Tour commences on Tuesday of race week with athletes arriving into Auckland. 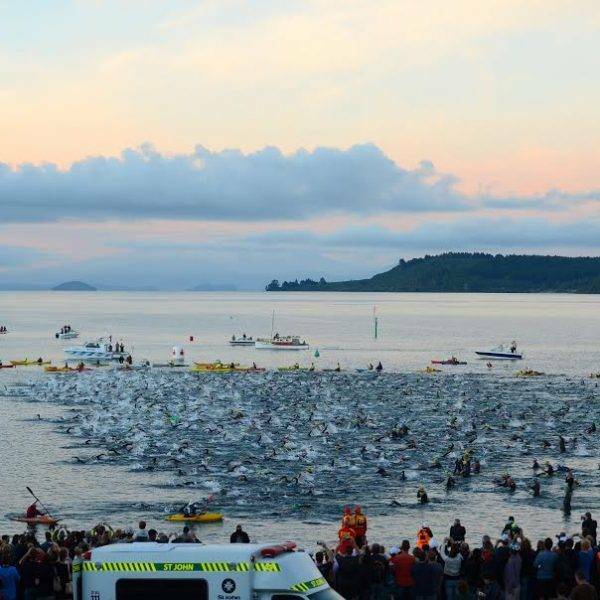 Each day our local team will assist athletes and spectators with Ironman New Zealand course orientation, training sessions, sightseeing, race registration and a post race-breakfast. 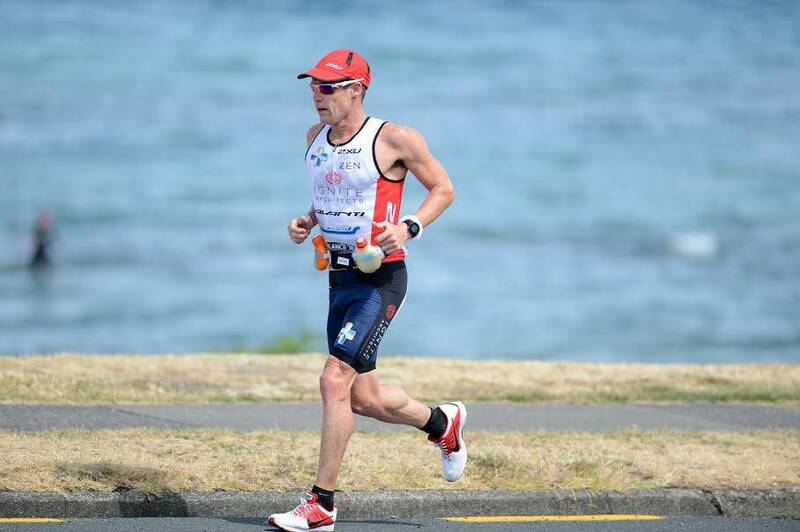 Each athlete and spectator receives an Ironman New Zealand kit bag that will include items such as a T-shirt, cap, and sponsors product from Endura Sports Nutrition. On Monday after the race we will transport athletes, spectators and luggage back to Auckland airport. For a full overview of accommodation options and prices, please refer to the hotel and pricing tab. 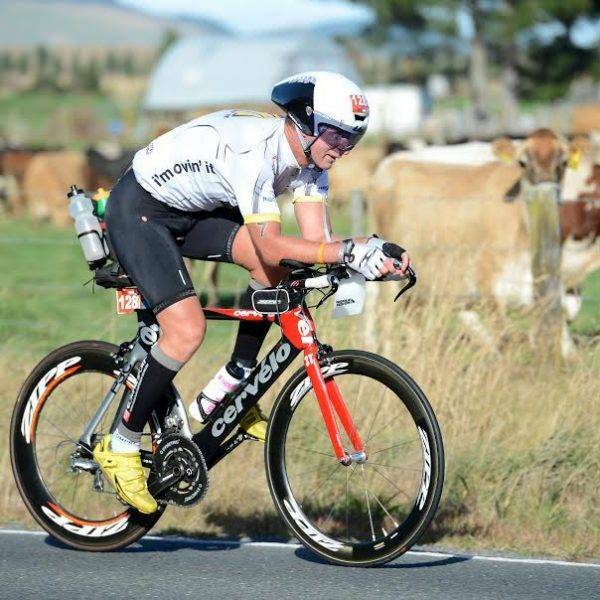 Book your package to the 2019 Ironman New Zealand with us and we will provide you with an 8% discount code to be used against buying your entry. 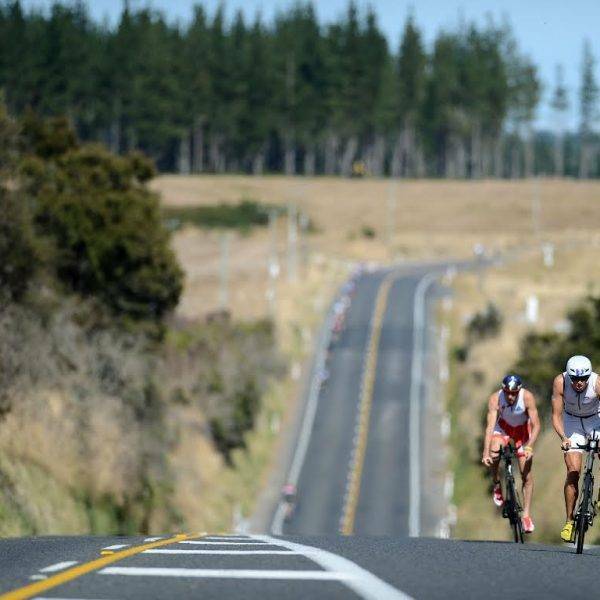 Firmly established in its hometown of Taupo since 1999, IRONMAN New Zealand showcases the best of this wonderful country and its breathtaking scenery. One of the world’s largest fresh water lakes offers arguably the best swim on the circuit. A two-loop bike course comes back through town before heading through the forests and a three-loop run course leaves you no chance to escape the thousands of spectators. IRONMAN New Zealand allows you to realise your IRONMAN potential in one of the world’s most beautiful places. Beautiful Lake Taupo is actually a huge volcano with a fiery history. Its most recent eruption, in 181 AD, was large enough to change the sky as far away as Europe and China. According to Maori legend, the lake is the pulsating heart of Maui’s fish (New Zealand’s North Island). The lakeside town of Taupo provides a base for visitors who love to fish for trout, ski Mount Ruapehu and explore the local geothermal phenomena. Popular Taupo experiences include Huka Falls, geothermal walks, a prawn farm, lake cruises, New Zealand’s first public cable wakeboarding park and guided kayak expeditions to see the rock carvings at Mine Bay. 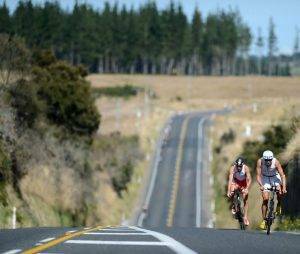 Lake Taupo is a fantastic region for year-round mountain biking, with the recent completion of the Great Lake Trail. Along with cycling, there’s excellent hiking and golf opportunities. 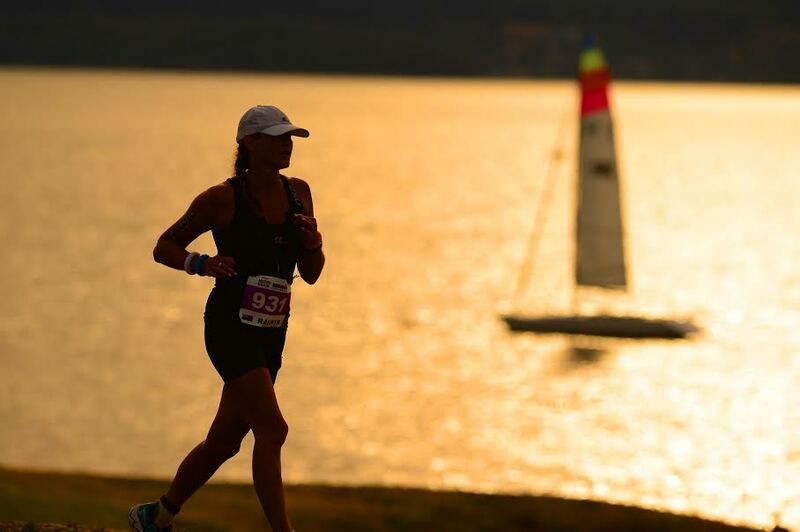 One of the world’s largest fresh water lakes offers arguably the best swim on the circuit. A three-loop run course leaves you no chance to escape the thousands of spectators. Please book your own flights to Auckland airport. On arrival in Auckland make your way through immigration and customs and collect your luggage before making your way to Novotel Auckland Airport Hotel (next to the terminal). Our team will all overnight here and meet the next morning for the bus trip to Taupo. Our IRONMAN New Zealand tour takes athletes and traveling companions, and their bikes to Taupo on our private bus. Taupo is approximately 4 hours from Auckland. This morning our team will depart the Novotel Hotel for the bus trip to Taupo. You need to be at the front of the hotel at 08:30 to have your bikes and luggage loaded for a 09:00 departure. We will arrive in Taupo at approximately 13:00. The tour bus will drop you at your Taupo hotel and then pick you up again approximately 30 minutes later to take you shopping for your week’s supplies. 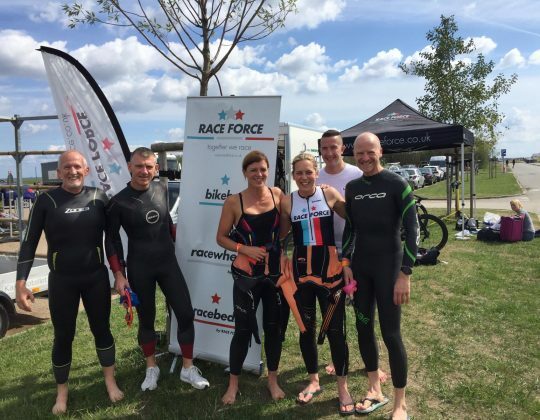 Note: Athletes please bring your wetsuit as we will visit the event site and have the wetsuits dipped in readiness for swim orientation the following morning. 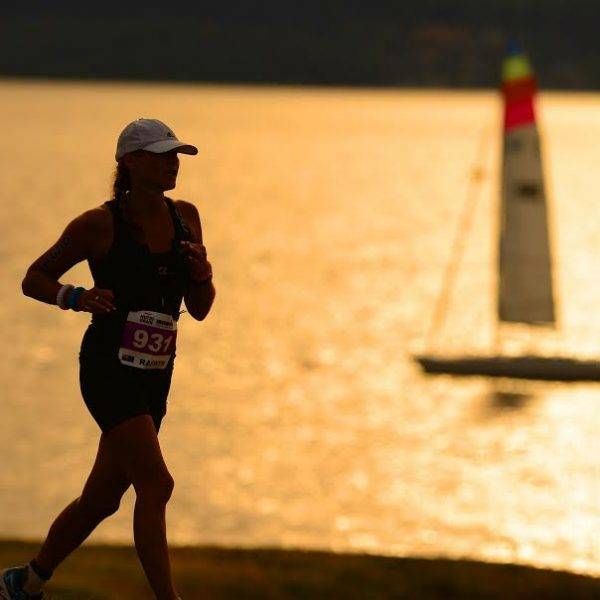 07:00 Run Course, Swim Orientation and Registration – After meeting at at 07:00, we will take tour members for a drive over part of the marathon course before taking you to the swim start in the beautiful Lake Taupo. 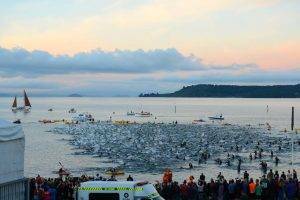 The swim orientation will include instructions on the race start and finish. 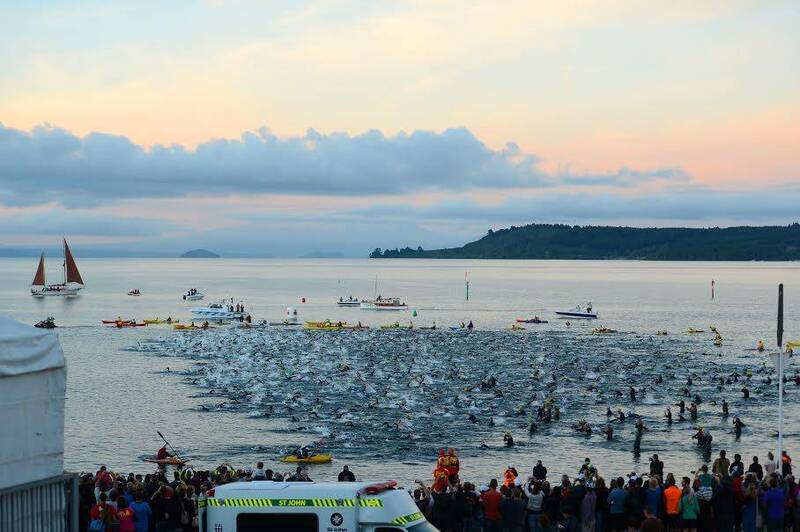 The swim distance will be around 1km. You are free to swim more or less if you wish. 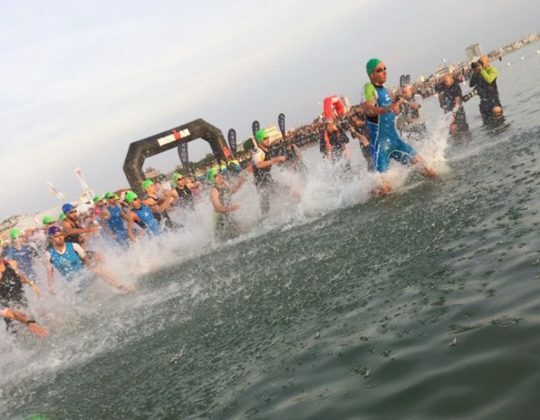 From the swim we will walk you through transition, so you can get an idea of it all before then getting in line to register for the race. Please ensure you bring your photo ID. After you have registered and completed the Race Briefing, our bus will drive you back to the hotel. 15:00 – Bike Course Orientation – Our tour bus will pick up tour members at 15:00 and we will drive 1 lap of the cycle course before going to the Welcome Function. 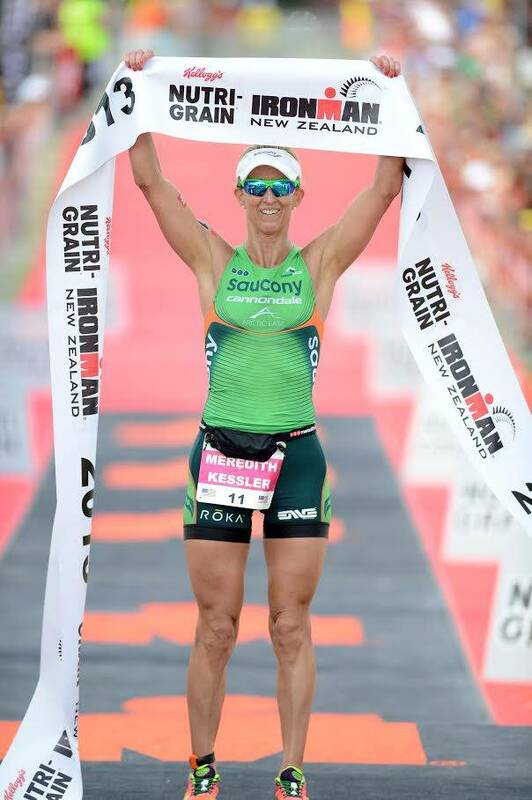 17:00 – Welcome Function and Race Briefing – For those that did not go on the bike course orientation, the tour bus will come back at 17:00 to take you to the Welcome Function. We have arranged reserved tables for our tour group. The bus will take you back to your hotels upon completion. 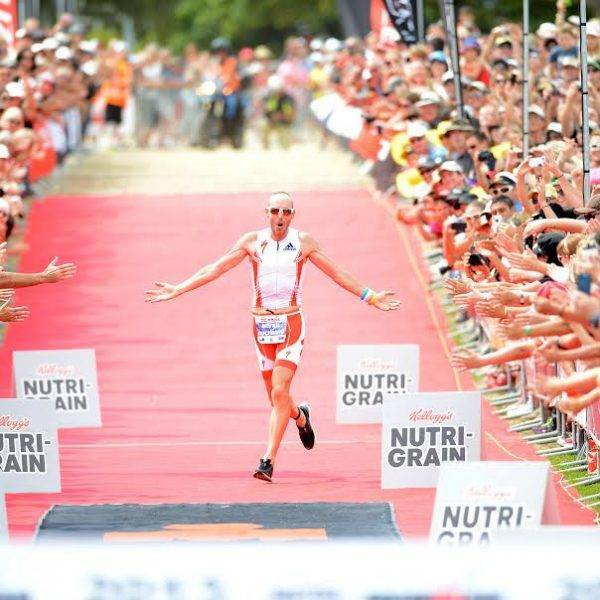 Note: Spectators will need to purchase carbo and presentation tickets from the Ironman New Zealand website or Race Office at Taupo Events Centre. 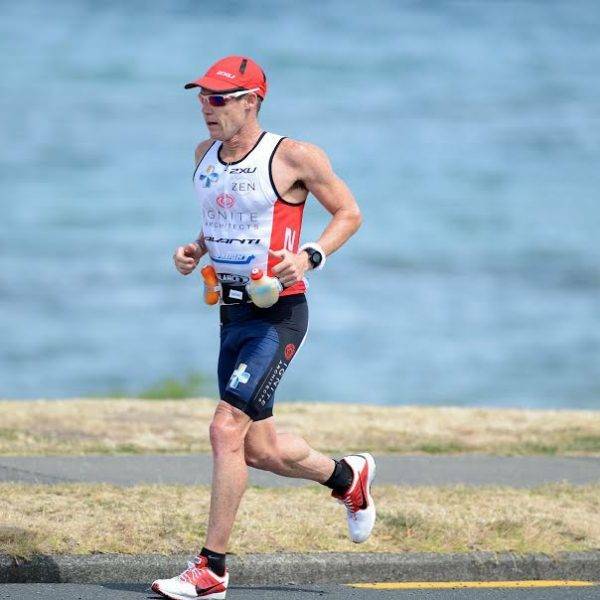 Due to limited number of tickets we recommend purchasing additional tickets directly off Ironman New Zealand website once they become available. 08:00 – Light Swim – It’s the day before the race and the nerves will be starting to set in but try to relax and enjoy the day. This morning is a light swim of 10 minutes including a few short sprints. Please meet at 08:00. 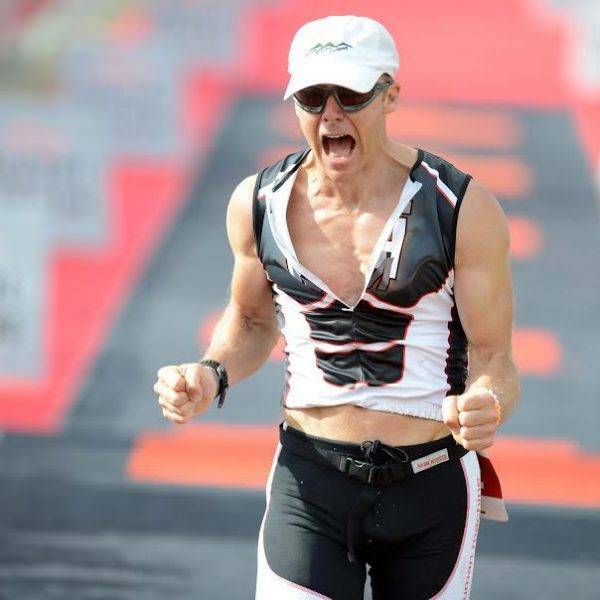 Bike and Race Bag Check In – Today you will check in your race bag at the Registration Marquee and check your bike in at the Transition Area. This can be done from 10:00 to 16:00. 05:15 – Race Morning – The tour bus will pick-up athletes and partners at 05:15 and take you to the race start to do your last minute check of your bikes and race gear. The team will be positioned at the Fish and Chip shop on the run course to cheer you home!! 08:30 – Team Breakfast -This morning our will host a post- race breakfast. 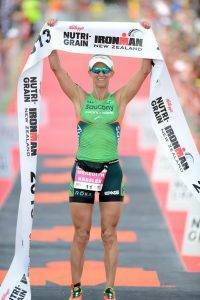 A great opportunity to discuss yesterday’s Ironman achievements! The breakfast will be held in the nearby Suncourt Hotel’s function room at 08:30. 15:00 – After visiting Huka Falls, we will call in at The Mole & Chicken for a drink and a few laughs before taking you to the Awards Function. After the function the tour bus will take you home or to the next stop on the celebration night at 21:30. This morning we return to Auckland airport via our tour buses. 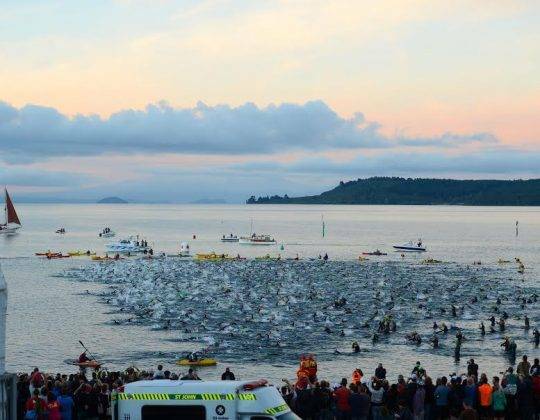 Athletes and spectators will be picked up from their hotels in Taupo. 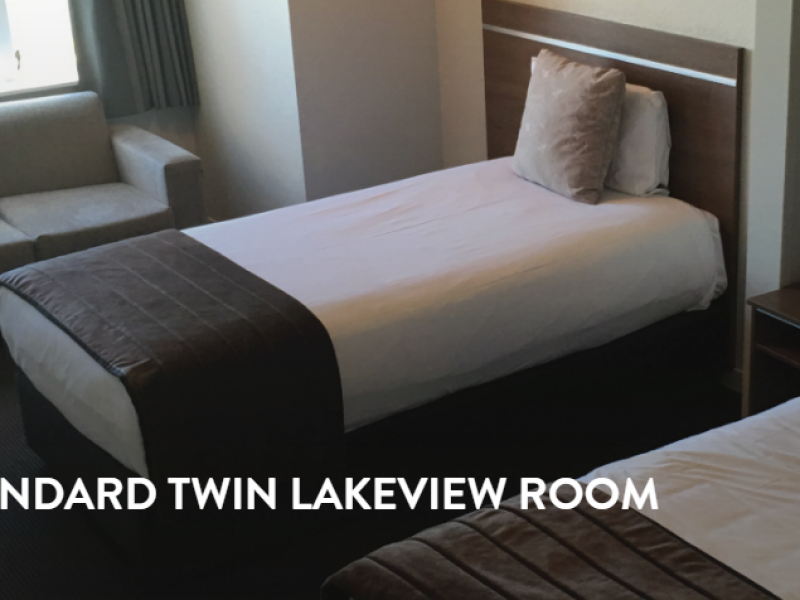 Twin share studios are available for 2 people or for single occupancy and they consist of a queen and king single bed (in the same room), magnificent lake front views with a variety of ground floor and first floor rooms. 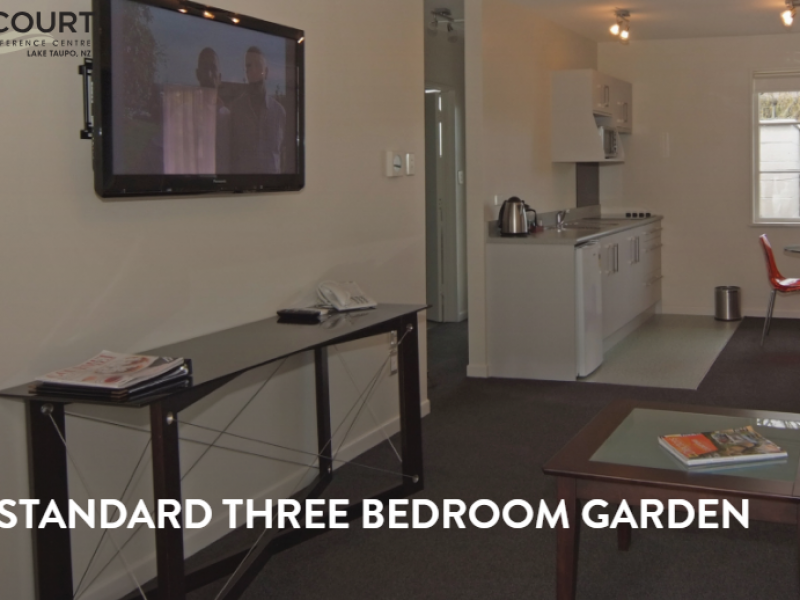 The one bedroom garden units consist of a queen bed in the bedroom and two king singles in the lounge area where you can relax and watch TV. Situated by the pool and grassed playground area with a variety of ground floor and first floor rooms all with outdoor furniture. 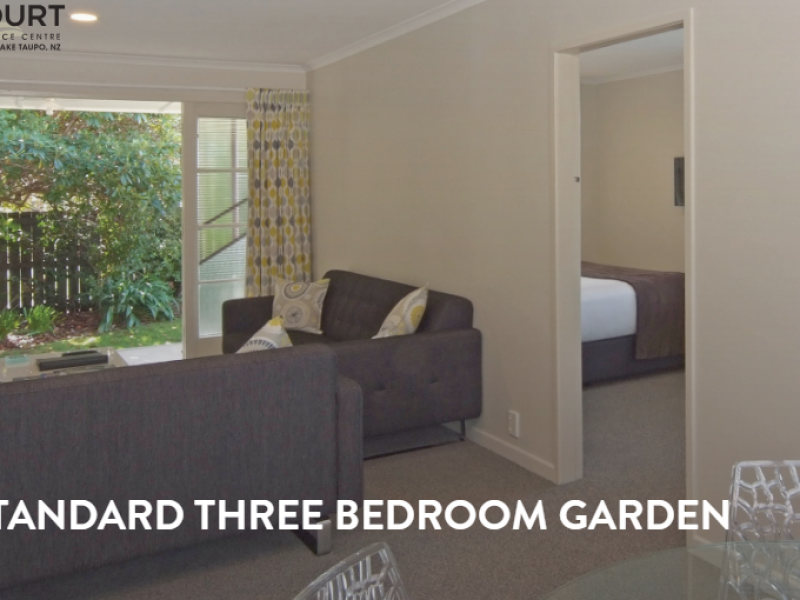 Ideal for a larger family or group getaway these units have three separate bedrooms; a queen bedroom, double bedroom and two king singles in the third bedroom. The modern dining/lounge area opens onto a low level deck. 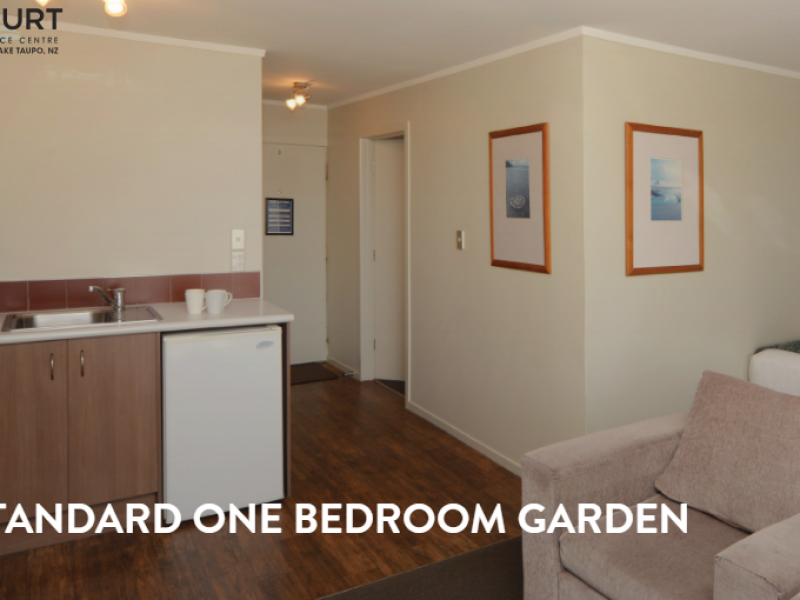 These units boast bench-top cooking facilities and microwave with all four units situated at the rear of the complex. 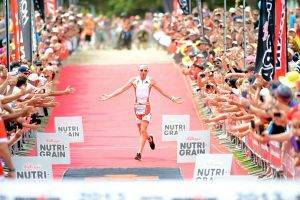 The hotel Suncourt is ideally located in Taupo at the waterfront for your Ironman New Zealand tour. 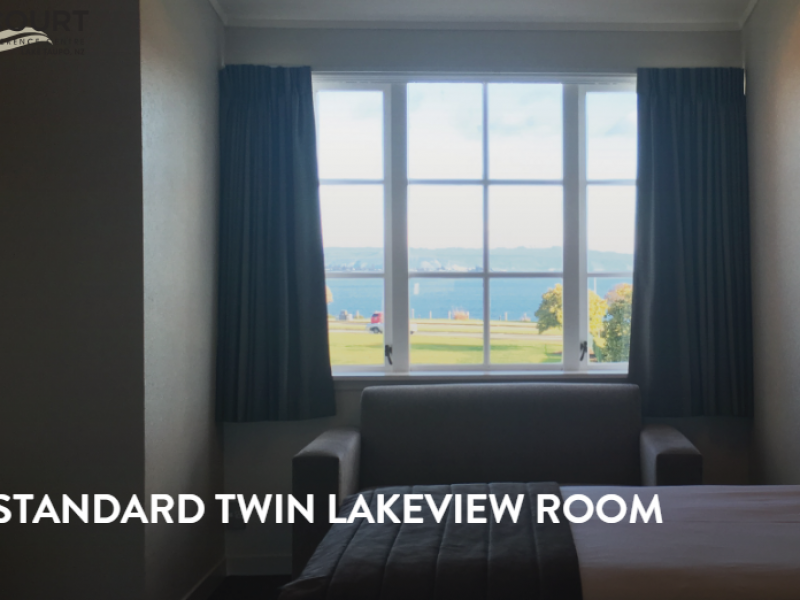 Enjoy the stunning vista of Great Lake Taupō and the mountains of Tongariro National Park from the Suncourt hotels’lake front accommodation and the spacious deck of the fabulous onsite restaurant & bar. The venue also includes five function and conference rooms for 2-300 people, perfect for your meeting or function requirements. 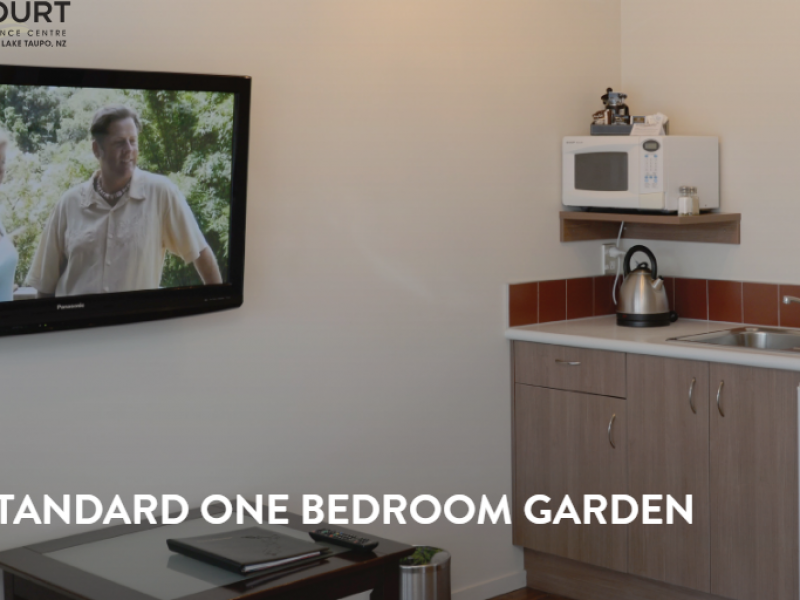 Boutique shopping and the Taupō nightlife are only a short leisurely stroll away. 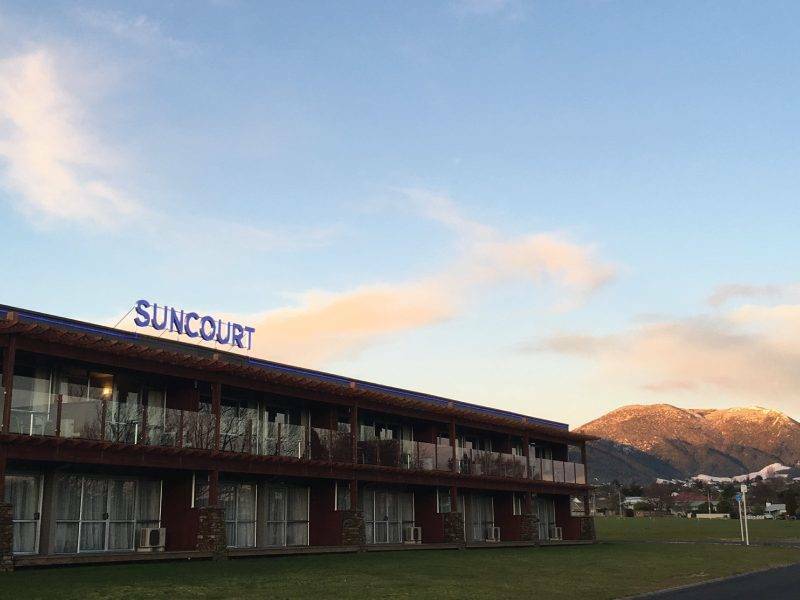 Suncourt Hotel is the ideal accommodation base for trout fishing, mountain biking or a golfing getaway. Whatever your taste or style, you will find the perfect activity in nature’s ultimate playground. When you visit, you’ll fall in love with this unique and breathtaking region we call Great Lake Taupō. Culinary delights served in stylish surroundings and topped off with the majestic panoramic view of one of New Zealand’s most iconic lakes, Lake Taupo is where you will find yourself when you dine at Suncourt Hotels Lake Bistro bar and restaurant. Most rooms capture the magnificent lake and mountain views and there are various accommodation options to choose from. All rooms contain tea and coffee making facilities, bar fridge, private amenities, flat screen TV with Freeview and selected SKY TV channels. The split system air conditioning provides cooling in summer, heating in winter and electric blankets keep you warm and cosy on cold winter nights. For details of specialist sports travel insurance for our travel packages, please visit our insurance page. You must ensure that your travel insurance policy covers you to participate in triathlon events. There is additional information about our other Concierge Services on our special web page.